← Week 5 Scapes! Beets! 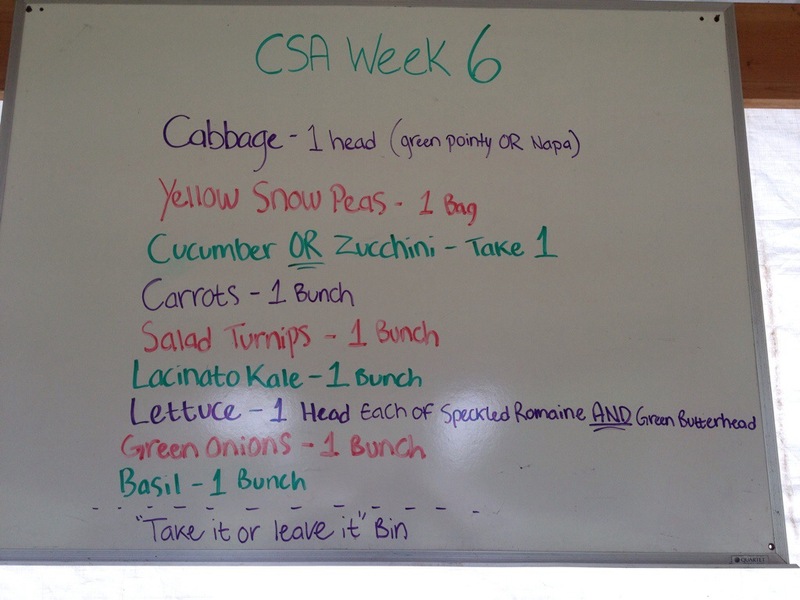 Week 6 – carrots are here! There are a bunch of new items today: carrots, basil, green cabbage, cucumbers, and zucchini! For me fresh carrots from the farm are one of the most exciting things in life. I just can’t get enough of them. So don’t leave your extra carrots sitting around me or they’ll disappear in a blink. Another thing to do with the turnips if you are stuck on those is slicing them thin and putting them on sandwiches for a nice added crunch. The kale is “lacinato” a classic from the Tuscany region of Italy. It’s also known as “Nero di Toscano” meaning Italian Black Kale. The stuff we harvested yesterday seems on the drier side, so I’d recommend cooking it with some liquid to help rehydrate and soften it a bit: broth, water, or wine perhaps. Cabbage is good in slaws or quartered (or maybe halved if it’s kind of small) and grilled. The pointy green headed variety is called “Caraflex” and it’s a straight ahead green cabbage except for its shape. 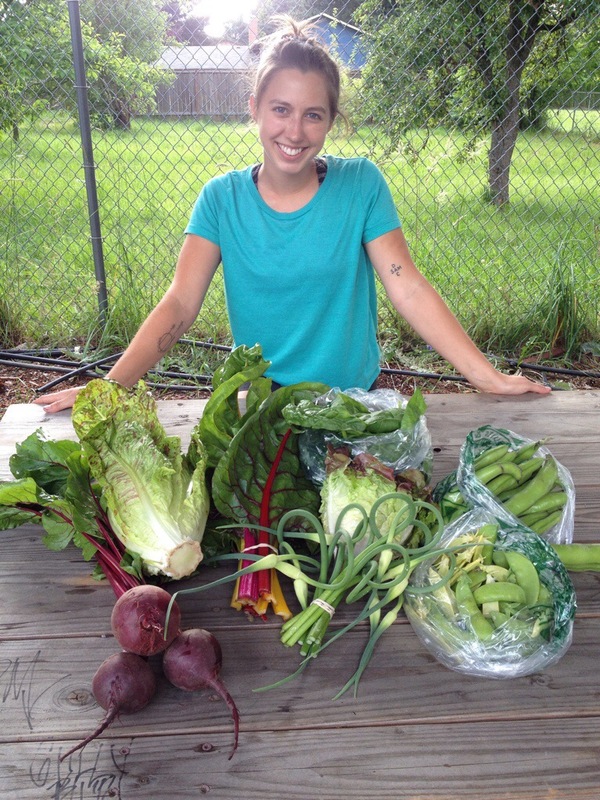 I meant to include a picture of Della, Cully Neighborhood Farm’s new intern, in last week’s post, but forgot. So here is Della with last week’s share. Say hi if you see her around the farm! She’s already become a great help around here as she lends a hand with harvest, washing, weeding, trellising, and the many other little tasks it takes to keep things on track at the farm. Thanks Della!